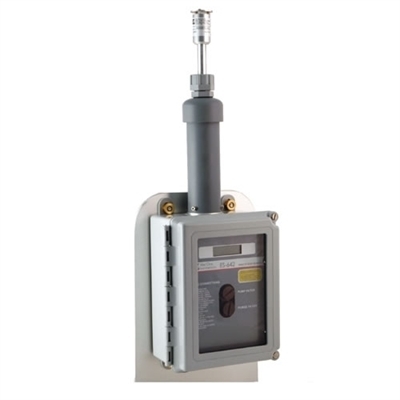 Met One's ES-642 Remote Dust Monitor is an industrial air-quality sensor designed to provide accurate measurements of particle concentration in both indoor and outdoor environments. The unit is supplied in a rugged weatherproof enclosure. It includes an LCD display to provide informatin about particulate concentration, flow rate, instrument status and power. The electronics and optical system are protected from moisture by a built-in intake heater that is humidity level controlled. The heater power is regulated to maintain a minimum humidity level. Additional features include a purge air system and an automatic zero calibration routine. The sensor can be wall mounted or installed on a vertical mast up to 3 inch in diameter. The ES-642 is supplied with a 10ft cable and connector for power (15 to 40 VDC) and signal output. The ES-642 measures particulate concentration using a highly sensitive forward scatter laser nephelometer, having a measurement range of 0 to 100 mg/cubic meter or 0 to 100,000 ug/cubic meter. Optional sharp-cut cyclones are used to set the measure level of the ES-642. As supplied, it provides particulate montioring for TSP, but with the addition of the sharp-cut cyclone it can be set for particulate smaller than PM10 or smaller than PM2.5 or PM1. The accuracy of the instrument is +/-5% based on a traceable PSL 0.6 micron reference standard. Measurement Sensitivity: .001 mg/m3 . Nephelometer Accuracy: 0.1 to 100 micron. Optimal sensitivity 0.5 to 10 micron particles. 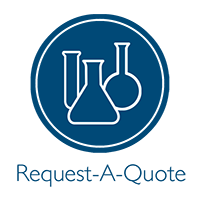 Particle Size Sensitivity: 0.1 to 100 micron. Optimal sensitivity 0.5 to 10 micron particles. Display: 2 X 16 backlit LCD. Provides information on operation including: Power, Flow Operation, Status and Concentration. Zero Calibration: Automatic Zero Calibration every hour or as programmed from 1 to 999 minutes. Flow Rate: 2.0 liters/minute ± 0.1 lpm. Power: 15 – 40 VDC @ 1.5 A maximum. Operating Temperature: -10 to +50°C . (Ambient Temperature Sensor Range -30 to +50°C). Ambient Humidity Range: 0 to 90% RH, non-condensing. Factory Service Interval: 24 Months typical, under continuous use in normal ambient air. Unit Dimensions: 22.9cm high, 17.8cm wide, 10.8cm deep. (9.0” x 7.0” x 4.25”). w/out inlet assy. 48.3cm high, 17.8cm wide, 10.8cm deep. (19.0” x 7.0” x 4.25”). w/ inlet assy. Designed to provide accurate information on paricle concentration and operate continuously in adverse environments. Special features such as the purge air system and automatic zero calibration enable the monitor to operate 24/7. A sheath air system isolates the aerosol in the chamber to keep the optics clean for long term reliability and low maintenance. LCD display provided information on operation including: power, heater power, flow operation, status and particulate concentration. The unit does not include any datalogging or power source.